Well, it finally happened. Hollywood showed us that it’s indeed possible to make a hit superhero movie featuring a female lead. Wonder Woman debuted last weekend as a triumphant financial and critical success, and in doing so it quenched the thirst of wonder-fans across the planet. The iconic nature of the character Wonder Woman makes her an obvious choice to be the first female superhero franchise superstar. And just as her early appearances in comic books opened the door for other female characters to step into what was always considered a male-driven medium, now she will be doing the same thing for the big screen. These five superheroines each have a rich enough history that they could potentially give us another spectacular origin movie along the lines of Wonder Woman. Forget what you may or may not have seen on The CW’s Arrow. The comic book continuity (post-Crisis, pre-New 52) Dinah Laurel Lance is actually DC’s first legacy character, as she is the daughter of the original Black Canary, a role she took over after her mother’s retirement. Unlike her mother, she has a super power — a sonic scream that is theorized to be a mutation brought on by extended exposure to the original Green Lantern’s (Alan Scott) ring. While her mother was a member of the Justice Society of America, Dinah is a founding member of the Justice League of America. So you’ve got mother/daughter drama and the option for non-linear storytelling with flashbacks of the original Black Canary, showing how being a superhero changes from generation to generation. Think a less depressing Watchmen. Life wasn’t easy for Storm before becoming the mutant hero and X-Man we all know and love. Ororo Monroe was orphaned in Egypt at six years old when an aircraft attack during the Suez Crisis traps her with her parents’ bodies under the rubble, leaving her with crippling claustrophobia. She then survives on the streets of Cairo as a highly skilled thief. Upon puberty, her mutant powers of weather control manifest, and she takes to wandering the Serengeti, where she’s worshiped as a goddess by the natives for bringing rain to their crops. That’s when she’s discovered and recruited by Professor X to join his second generation of X-Men, earning her way to being a field team leader and eventually headmistress of Xavier’s School for Gifted Children. I mean … take that, Lion. The Avengers and Captain America movie franchises have already given us a nice taste of Black Widow’s history. Marvel Studios could easily give us a Cold War-era story of Natasha Romanoff’s early years as a Russian agent — starting with her recruitment to the Red Room program, which trained young girls extensively in combat, marksmanship and espionage. She spends her first few years assassinating targets and collecting intelligence for her Russian masters. Upon proving her effectiveness in the field, she’s sent to America as a spy. After a few run-ins with a young Hawkeye, she decides to defect and eventually joins him, working for the good guys at S.H.I.E.L.D., where she struggles to this day to redeem her past misdeeds. I think I just accidentally wrote the movie. Batwoman is one of my more modern selections, as she debuted in 2006, but she has a really rich backstory. 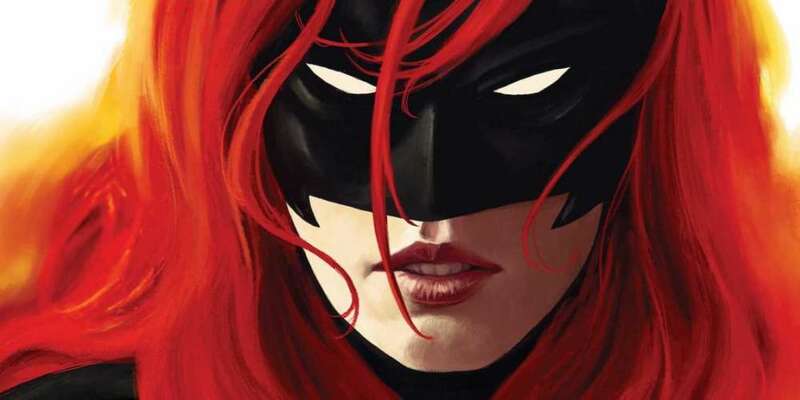 Kate Kane (a cousin of Bruce Wayne’s) is the daughter of a high-ranking military officer. On her 12th birthday she, her twin sister and her mother are abducted by gunmen. The rescue mission, led by her father, results in the deaths of her mother and sister. Vowing to never be weak again, she joins the United States Military Academy, where she is at the top of her class. Kate is forced to leave the school when she remains true to herself and refuses to disavow the allegation that she is a lesbian. Directionless, she engages in a wild social lifestyle. She’s inspired by Batman after he intervenes during a mugging. 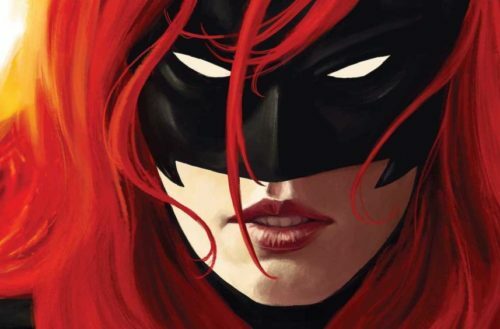 Kate then reaches out to her father for the extensive training she needs before taking to the streets as Batwoman. Little does she know that he is part of a rogue branch of the military designated with taking down the Batman. Oh, also, her sister is still alive and is the mentally unstable super-villain Alice. Ok, bear with me on this one. Criminal Defense attorney Jennifer Walters is shot by criminals on a day when her cousin, Bruce Banner (the Incredible Hulk), is in town for a visit. Being the only blood type match in time to save her life, Bruce uses his own irradiated blood for a transfusion, and Boom! She-Hulk. Like her cousin, she turns green, giant and strong, but she retains her intelligence and personality. End of origin. What I love about this concept is: 1) A 6’7” green lawyer. 2) What does the American court system look like in a world with cosmic world-eaters, alien invasions, mind-control, invisibility, underground monster societies, unfrozen WWII superheroes? The story possibilities are limitless.